LSE Sustainability Officer Jon Emmett introduces LSE’s sustainability journey 2004 to 2014. “It’s not enough to have a general idea. You must also know how to put it into practice.” These were the words of William Beveridge (LSE Director, 1919-1937) in a speech to LSE students in 1931, where he argued that rigorous study of the social sciences should be brought to bear upon the key challenges of our society. Fast forward to 2004, and LSE’s ongoing mission to ‘walk the talk’ of its research and teaching led the School to employ its first Environmental Coordinator to improve its environmental footprint. 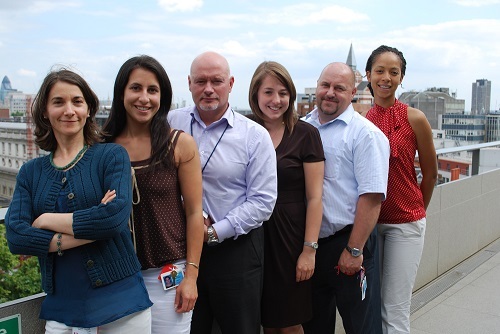 Dr Victoria Hands, who had recently completed a PhD at LSE on sustainability in urban planning, took on the challenge. She demonstrated that major environmental and financial benefits could be achieved through better management of the School’s energy and waste. 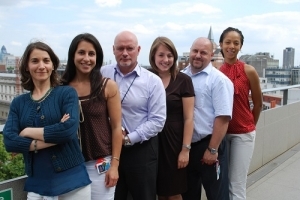 In 2005, LSE Director Howard Davies (himself a keen cyclist), launched LSE’s Environmental Sustainability Policy. 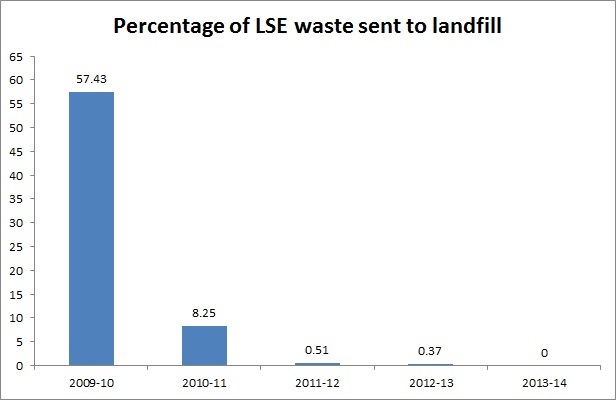 This was the first time LSE formally recognised the environmental impacts on its own doorstep, and committed to creating positive change – not just by continuing to produce excellent environmental research, but through reducing its carbon footprint, producing less waste and communicating about these issues. The LSE Grantham Institute for Climate Change and the Environment was founded in 2008, as was the Centre for Climate Change Economics and Policy – both chaired by Professor Lord Nicolas Stern, just two years after the publication of the famous Stern Review of the economics of climate change, which continues to have global resonance. By this time, Dr Hands had already established LSE as a sustainability leader among universities, spearheading groundbreaking projects that have by now become standard practice in the Higher Education sector. Projects like our halls re-use scheme ‘Relove’ – where students moving out halls at the end of each year donate items that they would otherwise discard, saving them from waste and offering them to new students. Dr Hands also built up the Sustainability team, taking on two dedicated Sustainability Officers. The existing Waste Officer role was also brought in and likewise all utilities were now dealt with by a dedicated Carbon Reduction Manager, ensuring that energy-saving opportunities would be embedded. LSE emits 19% less CO2 per area of campus floorspace in 2014 compared with 2005. Initiatives like 2011’s new recycling system increased recycling rates from 37% to 58% and resulted in the School sending zero waste to landfill. Julian Robinson oversaw the major renovation of the New Academic Building in 2008, which achieved BREEAM ‘Excellent’, a high standard of sustainable design. He became Director of Estates in 2009 and sustainability became a key element of the continual improvement of LSE’s campus and residences. Five years on, when the Saw Swee Hock Student Centre opened its doors in 2014, it was only the 17th building in the world to achieve BREEAM ‘Outstanding’ – the highest available mark of sustainable design. The building is only one of a growing number of LSE buildings to be kitted out with energy saving (and energy-generating) measures including solar PV panels, LED lighting (automated with motion sensors), CHP boilers, and improved building management controls. Water-saving fittings are being rolled out across the LSE estate, such as dual-flush toilets, waterless urinals, taps activated by infrared sensors – and most recently a vacuum-powered toilet that uses 85% less water per flush than standard toilets. LSE’s teaching also features a strong sustainability streak, popping up in all manner of courses and climate change has been part of LSE 100 since it launched in 2009. It situates climate change as one of the key challenges of our times, and includes a lecture from Nicholas Stern on how to manage the economic and policy dilemmas it has brought. 2009 also saw LSE recognised as the second most sustainable university in the UK by the annual People and Planet Green League. LSE has now received a ‘first class’ degree for the last five years in a row, and we’re looking forward to the results of this year’s League. 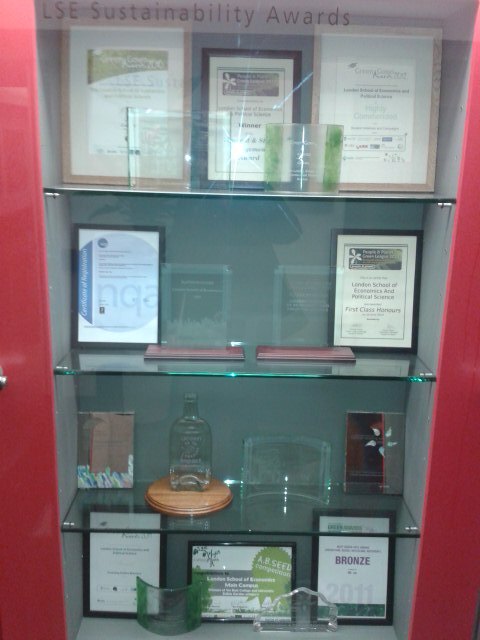 Our environmental work has also won a raft of other awards – as seen in this photo! 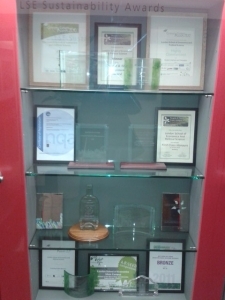 One award LSE is particularly proud is ISO 14001 certification – an international standard demonstrating that we have robust systems to continually improve our environmental impacts – which we have held since 2012. 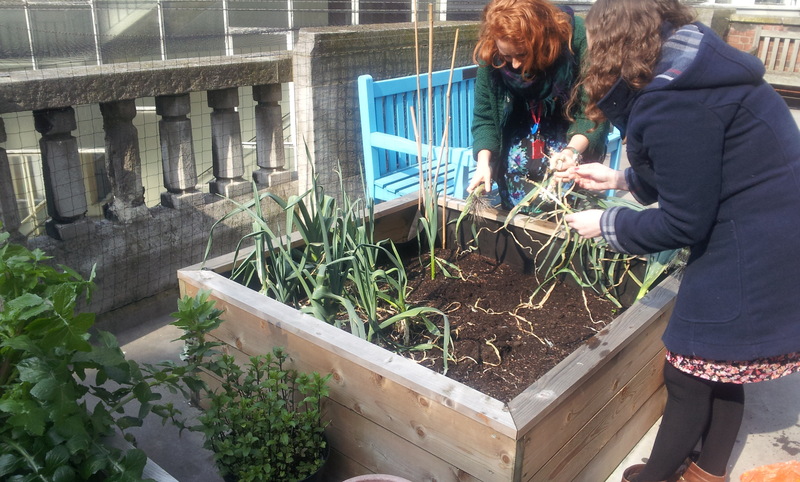 LSE is a complex place, and a big part of School’s sustainability story has been our ongoing work to make better connections between departments. A big part of this has been ‘Green Impact’ – a competition for LSE departments to take the most actions to ‘green’ their offices, which has enjoyed several hundred participants since it started in 2010. The LSE bees have also captured people’s imaginations. Since beehives were first welcomed to Passfield Hall in 2010, the LSESU Beekeeping Society has established more hives there and on the roof of Connaught House; 200 jars of honey were harvested in autumn 2014. (Yum!) The bees are well nourished by various greenery that has been introduced on campus over the last few years, including five roof gardens as well as a green wall, brown and green sedum roofs, and window boxes. LSE installed bike maintenance stands on campus in 2013, with tools for cyclists fix their own bikes. This was made possible by the LSE Sustainable Projects Fund, which was begun in 2011 to support student and staff projects to improve sustainability on campus each year, and is funded by a 10p ‘tax’ on bottled water sold at catering outlets. From the micro-level to the global – LSE’s unique public lecture programme has hosted some of the world’s leading voices on sustainability issues, including Mary Robinson, Dr James Hansen, and many more. Returning to William Beveridge, he said in 1930 that “The life of the School has always been a life of adventure, the breaking into new fields of study and the attacking of old problems by new methods.” Perhaps in the case of sustainability and climate change, we’re dealing with some new problems as well as old ones. But we’ll have a go at dealing with them just the same. Back in the present day (2014), we’re proud to be able to look back at a decade of sustainability at LSE and see how far we’ve come. We look forward to seeing what the next 10 years will bring.